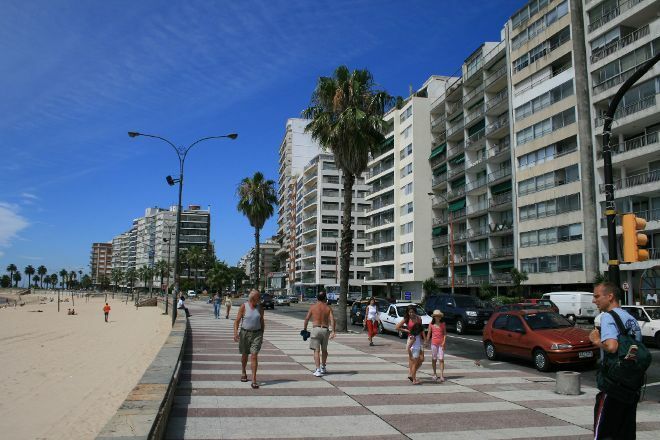 Cool off with a dip at Pocitos, Montevideo's best-known beach neighborhood. With its soft sand and green foreshore, the area bustles with energy on hot days. You can join in a game of soccer or beach volleyball, watch one of the regular boat races, or simply go for a swim. The neighborhood's inland area contains many cafes and restaurants, perfect for a relaxing drink after a day in the sun. Choose to start, finish, or center your holiday on a trip to Pocitos by using our Montevideo driving holiday planner . An excellent place to spend the afternoon with family, with boys. opportunity to ride a skateboard, skateboard, bike, walk or run. Or just enjoy the beach and a good mate!